Air fryers are a newer sort of kitchen appliance that can cook a variety of different foods, while using much less oil than a traditional deep fryer. It has many advantages when compared to a traditional deep fryer and nowadays, they come in many sizes and are designed for many different uses. 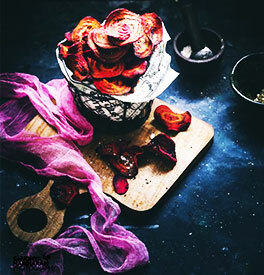 As an innovative kitchen appliance, it has grown in popularity around the world, with many people promoting it, along with many air fryer recipes in existence. Grills Forever team is here to inform you on how it works, its benefits, how to cook a variety of foods, and some things to watch out for. 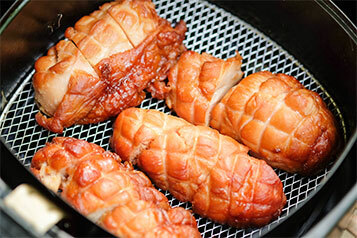 Air fryers use a much different approach to cooking when compared to the traditional deep fryers. Instead of submerging foods completely in hot oil, air fryers coat the food, such as chips, steak or turkey in a layer of oil while air is circulated at around 200 degrees Celsius to transfer energy and produce a crisp, fried layer once cooked. Heat is radiated by a heating element of cooking, which uses a fan for circulating hot air around the food. They are attractive to many because of their convenience and health benefits as opposed to traditional air frying methods. Because of these reasons, air fryers are popular worldwide, with many types of fryers on the market today and many different air fryer recipes used. The new approach that an air fryer uses for cooking foods offers a host of benefits and advantages, unlike traditional methods. How to Cook Steak in an Air Fryer? 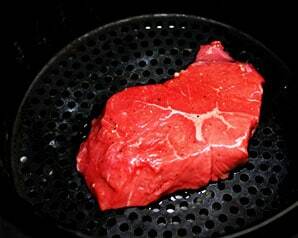 There are many foods that can be prepared easily in an air fryer, with one of them being steak. Though there are many ways to cook a steak too. Gather your materials first. You will need steak, salt, pepper, oil, and a baking basket or pan. First, pre-heat the air fryer, reading the instructions carefully. Bring the steak out of the refrigerator to reach room temperature. This will ensure a more juicy meat when cooked. Coat the steak with salt and oil on both sides, making sure to rub them in completely. You can choose to use a brush or just your hands for this step. You can choose to add in any other seasoning later, such as any pepper or special seasoning. Place the steak into the air fryer basket, turn on the air fryer, and set a timer for around 3 minutes, depending on the thickness of the steak. Flip the steak over and cook in the fryer for another 3 minutes. These instructions will produce a medium steak. For a steak from rare to well done, cooking time will depend on the size and thickness of the steak and you can experiment with different cooking times, making sure not to overcook it. How to Cook Turkey in an Air Fryer? Another great air fryer recipe is to prepare a turkey. If you’d want to prepare a whole turkey, a larger air fryer must be used. Don’t worry, large fryers are very common and you can probably find one at your local home and kitchen store. A benefit of using an air fryer is that an oil-less turkey fryer recipe will save you money and time. Gather your materials: a turkey, an air frying basket, any seasoning, oil, and an air fryer. First, season your turkey and preheat your air fryer. Seasoning can be pre-prepared or just pepper and salt. Rub the oil into the turkey before cooking for a more crisp bird. You can use a brush for a less messy procedure. Place the bird in the fryer’s basket. Now, make sure that your air fryer has instructions for cooking whole birds like turkey or chicken in order to cook it perfectly. Once the turkey has been cooked, test it with a meat thermometer. You want to make sure that the insides are around 165 degrees Fahrenheit to make sure that the bird is safe to eat and all bacteria has been eradicated. Let it rest for about 20 minutes before serving. This will result in more tender meat. How to Cook Chips in an Air Fryer? Air fryers not only can prepare larger meals, but they can also cook chips with surprising ease. Gather potatoes, oil, salt and pepper, a cooking basket, and an air fryer. Dry the chips with towels and in a bowl, mix the slices together with oil and seasoning, turning them with a spoon or a fork. Transfer these chips to the fryer basket and cook for around 20 minutes, turning them occasionally for evenness. Make sure to check on the chips every once in a while to make sure that they do not become overcooked. Serve the chips once they have cooled down. Cooking chips this way is much more healthy to your body, but still as delicious as regular fried potato chips. When first using an air fryer, there are some tips that will help you immensely. Make sure that when cooking, preheat your fryer first before adding in any food. Make sure that your air fryer is on a heat resistant surface such as a countertop and that there is enough space behind the exhaust vent of the fryer in order to keep it from catching anything on fire. When cooking, be patient and don’t overcrowd the air fryer basket as that would prevent food from cooking evenly. Make sure to keep turning your foods every so often to get it to cook well on both sides. After each cooking, make sure to clean the air fryer and dry it out after washing. If any sort of smoke or burning smell is being emitted from the air fryer, turn it off immediately and inspect the fryer, especially the heating element. These tips will help you cook anything in your fryer and take care of it so it lasts longer. Along with tips, there are dangers to watch out for when using the air fryer. Making sure that all safety precautions are taken is an absolute must. Obviously, make sure that all electrical components of the air fryer do not get near water. This can result in short circuits which will destroy the fryer and possibly injure yourself. Another important thing to watch out for is the amount of oil you put into the fryer. An air fryer is designed to work without any oil, so make sure that you only coat the foods you are cooking with oil, not the fryer itself. Be careful about touching the air fryer when it is preheating, being used, or cooling down. Make sure to wait at least 30 minutes after cooking before cleaning your air fryer. Watch out for any telltale signs of malfunction and check out anything wrong early on. Knowing any danger signs and making sure that all safety precautions are taken will reduce the risk of you destroying the appliance or injuring yourself. All in all, an air fryer is a great appliance, healthier and easier to use than a traditional deep fryer. However, knowing what to watch out for and what tips to use when cooking with it for the first time is essential. You can cook a variety of foods in it, such as steak or chips. 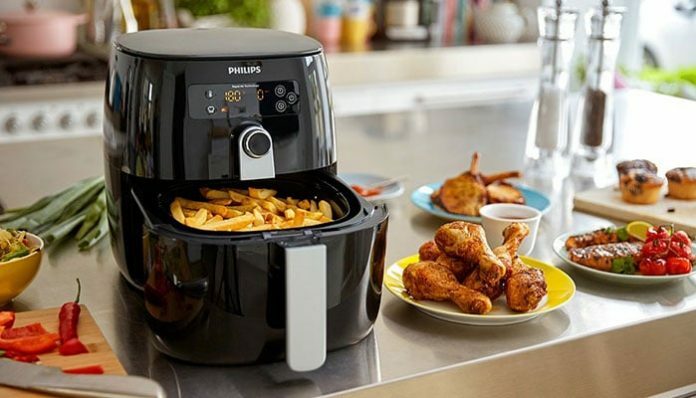 It has grown very popular worldwide, with many air fryer recipes that can be found everywhere. It is a great appliance to have in your kitchen but in the end, safety is the most important thing. Next articleLatest Grilling Technologies: Take Your Grilling Experience to a Whole New Level! Love Pork Ribs? Here’s an Easy, Mouthwatering Recipe for You to Try! Its both paid and customized, my web developers work really hard to make this happen! Just bought an air fryer. At first i was skeptical about air fryers but after using it for a while i’m totally pleased! Now i can make healthy food without compromising the taste!